For anyone in the housing industry, these are challenging times. So why has Luck Stone – a family-owned, Manakin, VA-based supplier of stone construction products – remained rock solid in its commitment to business aviation, even as activity in their economic sector slows? 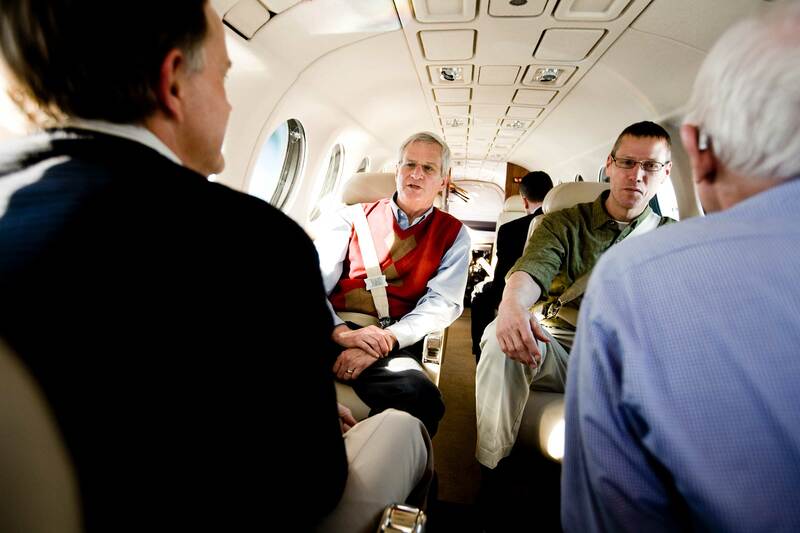 Charles S. Luck, IV, Luck Stone’s president and CEO, explained that he and his management team are using a Beech King Air 350 to visit the company’s 16 stone, sand and gravel plants scattered across the Southeast in part to boost the morale of the firm’s 1,000 employees. Since 1972, people at all levels of the company have been flying out of the 3,900-foot-long, company-owned airport (0VA5) in Rockville, VA, just 10 minutes from company headquarters. The original company airplane was a Beech Baron, but over the past two decades, Luck Stone has flown a series of twin-engine aircraft, including a Cessna 421 and 421C and three different King Airs. Today, Luck Stone’s King Air 350 flies up and down the East Coast, sometimes to the Mississippi River and occasionally farther west. The airplane operates three to four times a week, usually out and back the same day, with multiple stops to accommodate company personnel traveling to different destinations along a given route. The flight department’s goal is to accommodate every associate who needs to fly, regardless of whether an employee works at the company’s Charles Luck Stone Center, at one of its construction aggregate sites, in its Lee Tennis Court Products Division, or for Luck Development Partners. “The plane is not for executives,” said the CEO, who estimates that other employees use the airplane 90 percent of the time. Besides transporting Luck Stone people, the King Air has been used to fly in prospective customers to see the countertops, fireplaces and other quality products the company sells for residential use. The airplane also has transported consultants, international suppliers and job recruits, as well as cancer patients via the Corporate Angel Network. Luck allowed for even greater access to the aircraft two years ago, by introducing a new policy aimed at boosting its use. Under the new policy, when an employee books the airplane, his department is charged for the cost of the trip. If empty seats on that trip are available, associates from other departments traveling in the same general direction can occupy the seats free of charge. The approach has resulted in higher utilization of the aircraft. Luck Stone’s leadership team truly cares for the company’s associates, and that attitude is reflected in the way the airplane has been used to attract and retain key personnel. A perfect example is Mark Whitfield, senior product manager for Charles Luck Stone Centers. “I used to work for a European company, and I was on the road constantly,” said Whitfield. “That’s why I looked for other job opportunities. What appealed to me about Luck Stone was having access to a company plane. With the plane, my trips typically can be done in one day, so it has been a great benefit to me and my family. Moore says he has been given full authority by top management to “do the right thing” when it comes to operational decisions. Moore and his copilot, Ryan Blanchard, undergo recurrent training as a crew once a year. They believe that people should train like they operate. “We challenge ourselves,” says Moore. During training, they have simulated various emergency procedures, including V1 cuts with approach flaps down on short runways. In addition, the Luck Stone pilots have practiced right-seat and no-electrical-power landings and taken classes in cold-weather operations, approach and landing accident reduction (ALAR) and controlled flight into terrain (CFIT) avoidance. Moore, who attended his first NBAA Annual Meeting & Convention shortly after retiring from the Air Force, said the event “was a great education for me since I was new to business aviation. The networking was great; I got to see what aircraft were available to meet the company’s growing needs; and I attended information sessions on insurance and maintenance.” Moore said Luck Stone plans to send someone to NBAA’s new Light Business Airplane Exhibition & Conference next spring. Once the housing sector rebounds, Luck Stone plans to extend its reach, and business aviation will continue to support the company’s long-term growth plans. In the meantime, Luck Stone’s aircraft will continue to help position the company for the next rebound, just as it has in previous challenging times. This article originally appeared in the May/June 2008 issue of Business Aviation Insider.